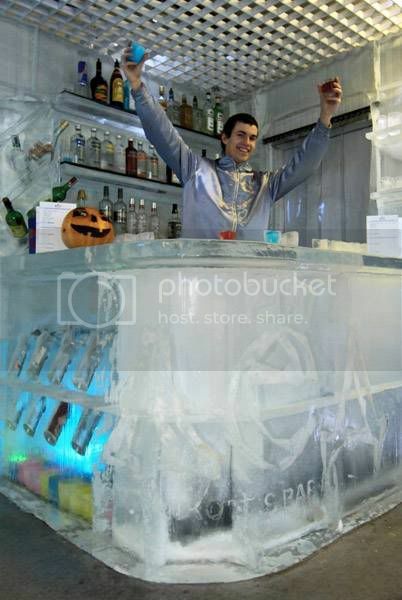 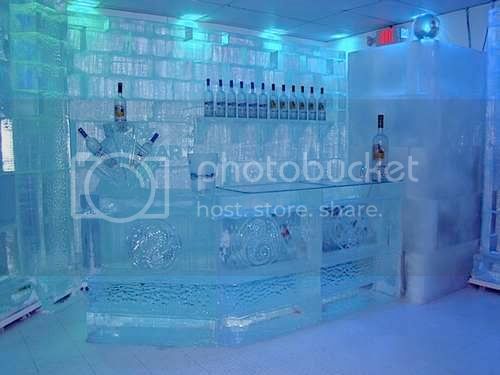 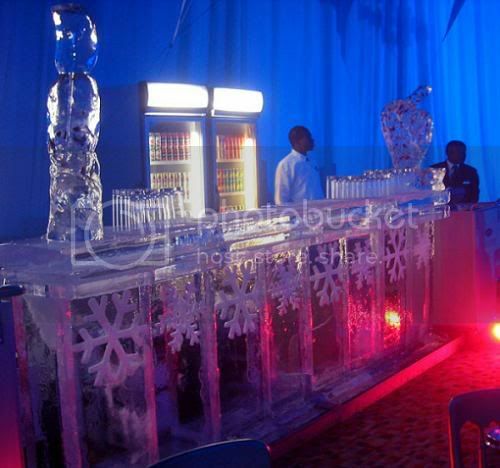 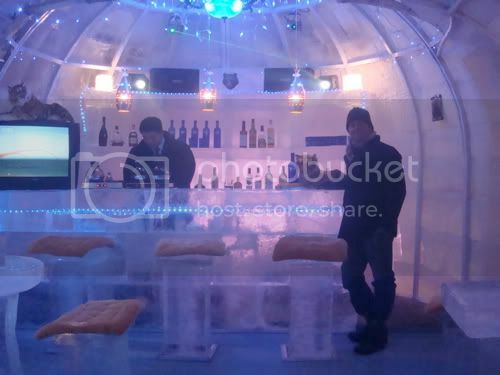 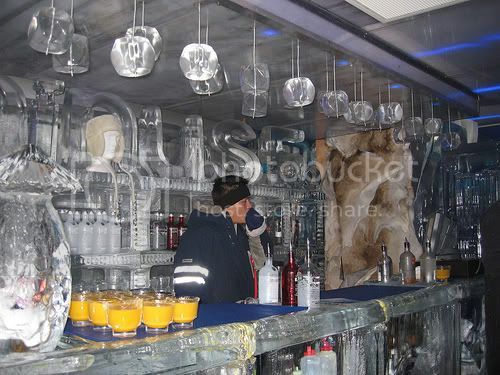 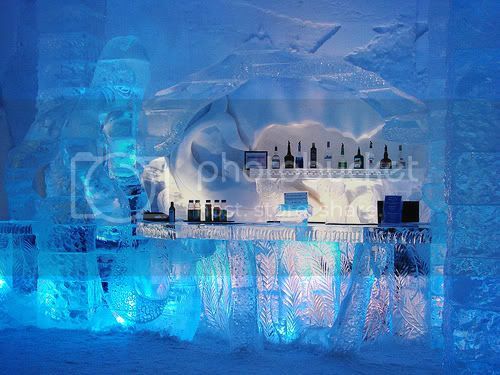 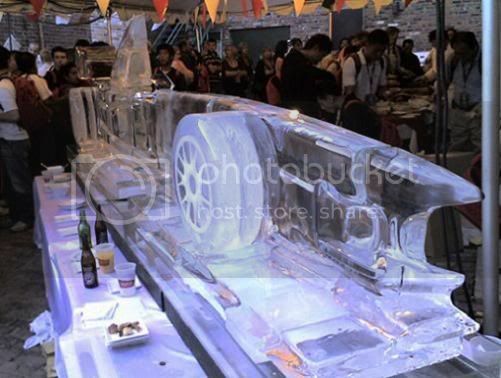 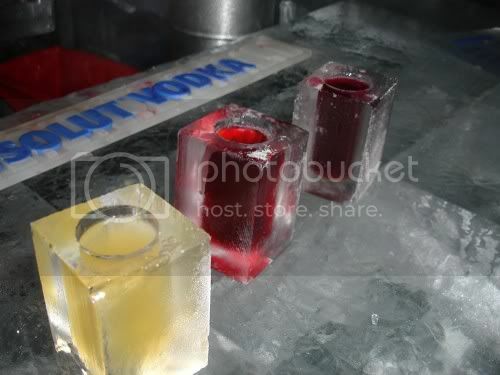 An ice bar is a drinking establishment primarily made of ice. 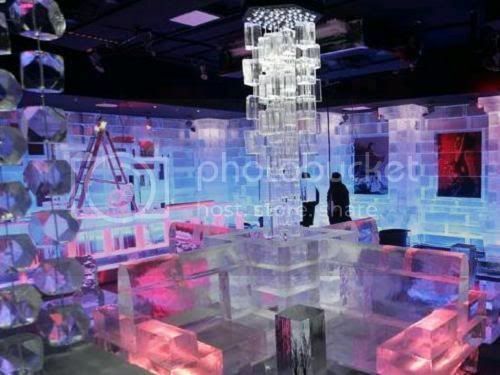 The bars usually contain ice sculptures and other formations and are kept at low temperatures to hinder melting. 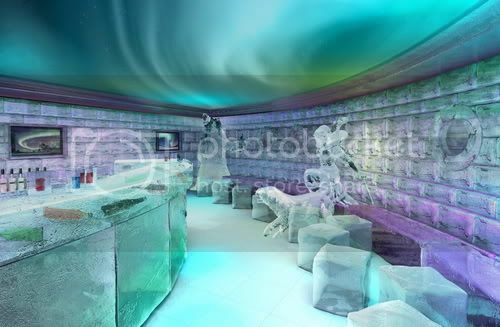 Mostly a novelty, the ice bar is often considered a tourist destination.